The Ultrablue™ Smartrack™ offers a regular verification of fibers using an automated integrity test. This system functions on an Out/In principle (filtration from the exterior towards the interior of the membrane) in order to treat directly settled or floated water. 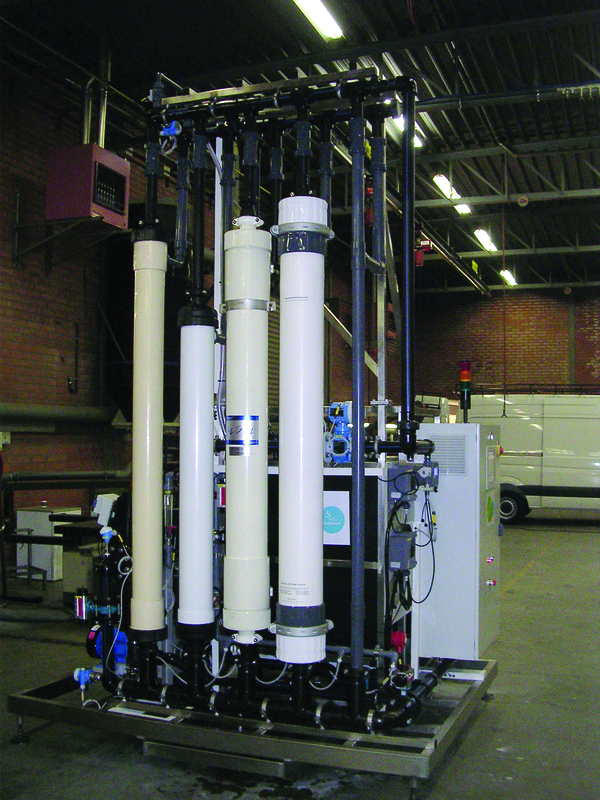 Ultrablue™ Smartrack™ is a rack, capable of accommodating ultrafiltration membrane modules of different brands, presenting varied dimensions as well as different connections. Ultrablue™ Smartrack™ brings sanitary guarantee by means of the ultrafiltration which is an excellent bacteriological barrier. Moreover, the product allows an optimization on operating costs and provides flexible integration to any site configuration, for an extension or rehabilitation facility. Adaptable to any plant size as it is able to handle a capacity of 200 to 22,000 m3/day per rack.